Braised beef in the pot. Recipes from Russia. Take 0.5 kilograms (1,1 lb) of fillet beef, cut it into medium-sized pieces, add salt and brown until a golden crust has formed. Slice 500-600 grams (1,1 - 1,3 lb) of potatoes and fresh mushrooms, carrots, onion and parsley roots to taste. The potatoes, vegetables and mushrooms deep fry until golden and then divide them with the meat between four small pots or put them in one pot holding four portions. Add some black peppercorns, a bunch of parsley or celery, pour over some stock and braise until tender. Then take out the parsley, pour off the stock, add a roux made from butter and flour, and bring to the boil. Pour the sauce over the meat and vegetables, and bring back to the boil, add some finely chopped parsley and serve in the pot. There are other ways of making this dish. The meat can be braised in kvass, for example. Pour 300 grams (12 oz) of kvass over the browned pieces of meat, add the vegetables and some slices of fresh cucumber, and stew. The kvass will give the meat an unusual and delicate flavor. The beef can also be braised in sour cream. Lightly pound the pieces of meat, add salt, coat in flour and brown slightly. Then add 200 grams of sour cream and stew in the pot. When the meat is cooked, lay it out on a dish, season the sauce with lemon juice, salt and ground cayenne pepper, add 100 grams of wine and pour this sauce over the meat. 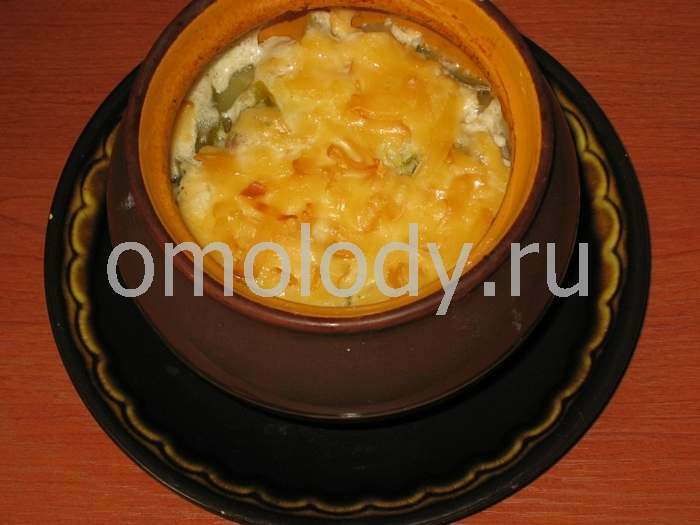 Serve with boiled potatoes or beans.